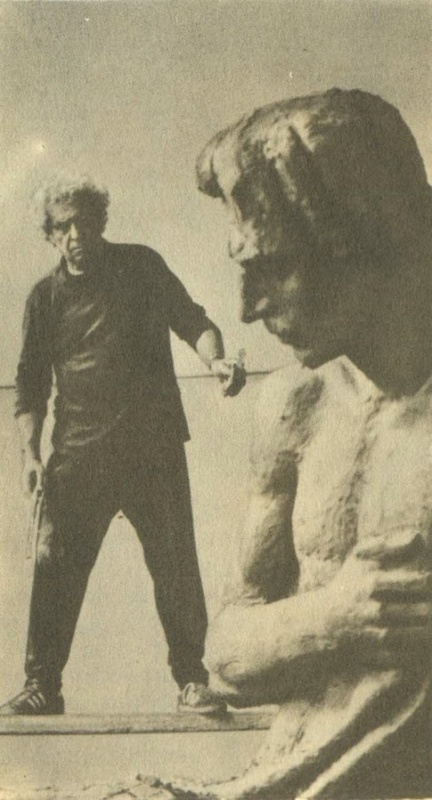 Soviet sculptor Ivan Pershudchev (1915 – 1987), Honored Artist of the RSFSR – one of those sculptors whose works entered the golden fund of Soviet art. He created gallery of sculptural portraits of heroes of the Great Patriotic War. His monuments that perpetuate military exploits are well known in our country and abroad. They show a deep sense of love to the simple Soviet man, the ability to see and clearly display the extraordinary and heroic, which is often hidden behind the modesty and the seemingly ordinary. 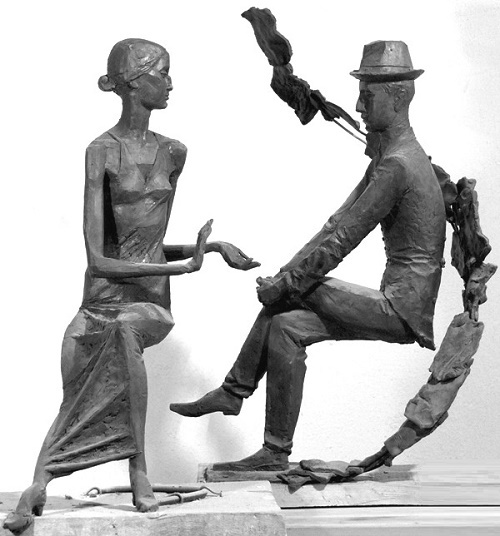 This amazing involvement of artist in the lives of those people whom he portrayed explains the biography of the sculptor. 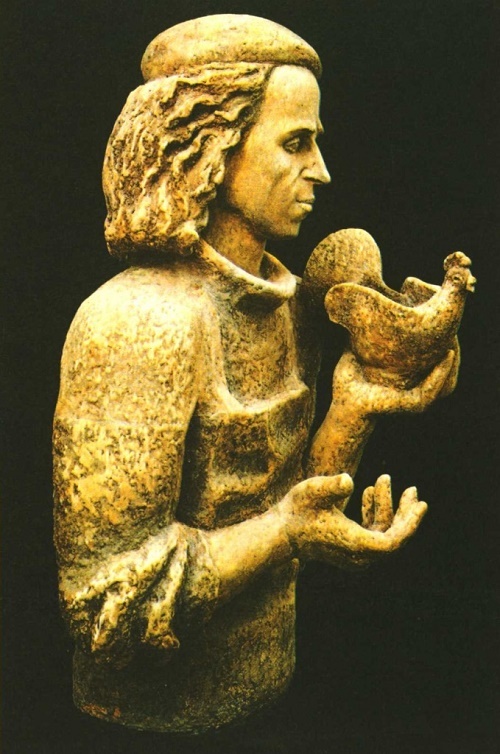 Works of Soviet Armenian sculptor Nikolai Nikogosyan entered the “golden fund” of Soviet art. They are in the Russian Museum, the Tretyakov Gallery, Moscow Museum of Modern Art, Museum of Fine Arts of Karelia and other regional museums in Russia, as well as in the State Art gallery of Armenia, in the art museums of former Soviet Union – Belarus, Kazakhstan, Latvia, Lithuania. Nikolai Nikogosyan – painter, graphic artist, teacher, People’s Artist of the USSR (1982), Winner of USSR State Prize (1977). Corresponding Member (1983) of the USSR Academy of Arts, Academician of Russian Academy of Arts (2001). Nikolai Bagratovich Nikoghosyan was born December 2, 1918, in the village of Shagrar (now Nalbandyan) in Armenia. In 1930-1940-ies N.B.Nikogosyan got an excellent education – first at the Institute of Painting, Sculpture and Architecture of All-Russian Academy of Arts in Leningrad, and later at the Moscow Art Institute of Surikov (workshop AT Matveyev). Since 1985, he taught at the Faculty of Architecture plastics, since 1998 professor. In 1940, the artist began to participate in exhibitions, in 1942 he joined the USSR Union of Artists. In 1956 he represented the country at the XXVIII International Biennale of Contemporary Art in Venice. 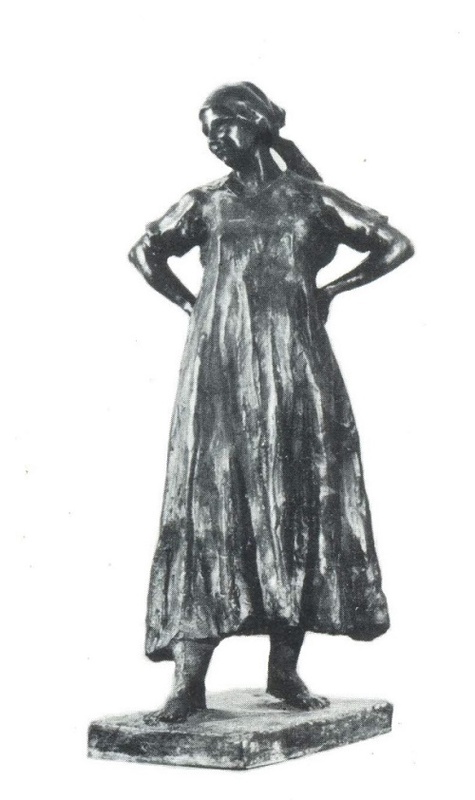 Soviet sculptor Lyudmila Yelchaninova was born and raised in Moscow. Since childhood, she loved to draw, mold toys, paint, dress up and decorate them. Lyudmila’s mother, seamstress, sew theater costumes, decorated Russian folk clothes with embroidery, and accustomed her daughter to needlework. Maybe these first lessons echoed over time in the work of the artist, in her love for color, adherence to all man-made, hand made good craftsmen. And now in her shop carefully preserved objects of folk life, ancient peasant clothes, arts and crafts. After graduation Yelchaninova moved to Smolensk. Teaching students sculpture and ceramics, she worked hard, took part in the exhibitions, raised a daughter. In 1973 she joined the USSR Union of Artists. 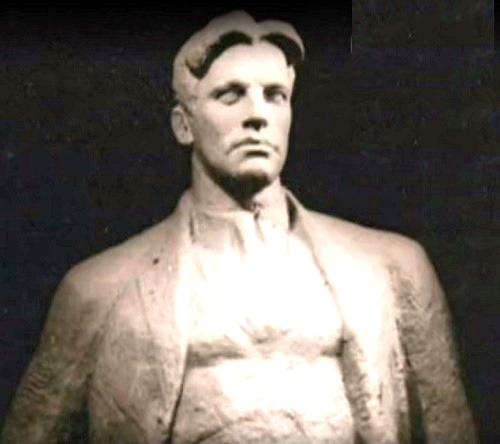 Soviet sculptor Leonid Shervud (28 April 1871 – 23 August 1954) – Honored Artist of the RSFSR (1946), doctor of art sciences was one of the first sculptors who carried out Lenin’s plan for “monumental propaganda”, starting from 1918. Leonid Sherwood was born in Moscow on April 28, 1871. 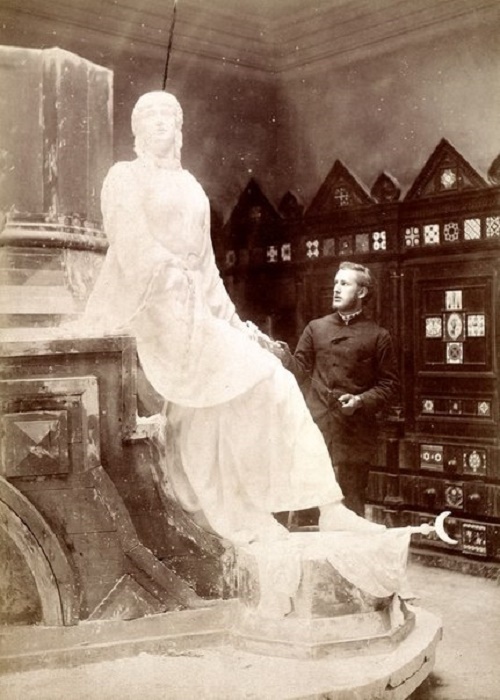 Original art education he received in the studio of his father Vladimir Osipovich Shervud, academician of painting, working in the field of architecture and sculpture. Constant communication with famous figures of Russian culture and art visiting their house had a great influence on the world of young L. Shervud. Abilities of the boy appeared in the years of work in his father’s workshop. Initially, helping his father, he began to copy under the guidance of his father monuments of ancient sculpture, and then to work independently.